The severe sentence awarded to Sajjan Kumar will not “compensate” the families of 3,500 Sikhs killed in the Capital in l984, he had been rewarded with places in the “temple of democracy” ~ and another person accused of complicity has just become a chief minister. It was a classic case of judicial understatement for the Delhi High Court to describe the state-sponsored genocide of 1984 as a “crime against humanity”. 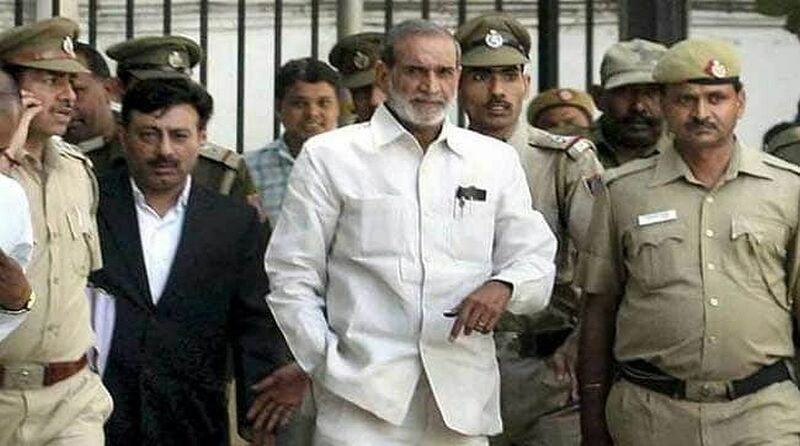 And its emphasising that it was sentencing former Congress MP Sajjan Kumar to spend the remainder of his natural life in prison could hardly be proof of justice having “caught up”: that would seem ridiculous when it is realised that he has spent the last 34 years in relative freedom ~ and that an appeal to the apex court could be in the offing. What the prolonged, sordid chapter in the administration of criminal justice in India has restressed is that the system is loaded in favour of those enjoying what the court condemned as “political patronage”. Their Lordships S Murlidhar and Vinod Goel were being philosophical when asserting that eventually “truth will prevail”, for after the massacre of 1984 the nation has been subjected to the outrages in Gujarat in 2002, and now cow-vigilantes running amuck have become daring enough to attack police officials. Without descending into who is right or wrong or who started it, the reality is that the difference between the political and criminal classes has been blurred ~ compounded by spineless policeman and judicial officers who do not have the courage to live up to the theory that justice delayed is justice denied. The severe sentence awarded to Sajjan Kumar will not “compensate” the families of 3,500 Sikhs killed in the Capital in l984, he had been rewarded with places in the “temple of democracy” ~ and another person accused of complicity has just become a chief minister. Whether in Delhi in 1984 or Gujarat in 2002 it is the hapless “victim” who stands no chance against politicians more savage than militants in the Kashmir Valley or Maoists in Central India. At least the latter can claim to be fighting for a “cause”. 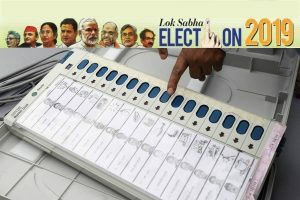 The ‘netas’ do even worse for selfish political interests. To try and recount the horrors of 1984 would be to revive nightmares that continue to haunt: suffering that still causes hearts to ache, orphans struggling to live without fathers, widows surviving without a partner, sights that the memory cannot blacken out. Rahul Gandhi might have been a child when all that happened but was he not unaware of the blood-stained party whose mantle he now sports. That ensures a hollow ring to his accusations against the present regime. A ring that finds echo in promises of ‘achche din’ etc. Not that one portrayal of evil “cancels out” another. The greater tragedy for the Indian people is that they are enslaved by such evil political forces and that the horizon holds little hope of redemption If 1977 did not usher in a new beginning what reason to believe something more uplifting will emerge in 2019?